Last Saturday I had a crushing hangover, and it was nearly a grade five (I categorize them 1-5, with five being the most evil). It’s the sort where even if you go running, take aspirin all day, eat donuts and drink ten glasses of water- nothing is going to help you feel better. In the evening, when you start to feel a little more human, some foods can bring you relief. Curries, with their sweat-inducing character, are top of the list. I chose to make a proper home-made job and whizz up my own paste. 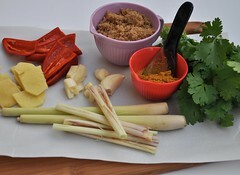 Last year I developed a recipe for ‘meals in heels’ cookbook that involved making a fresh curry paste. 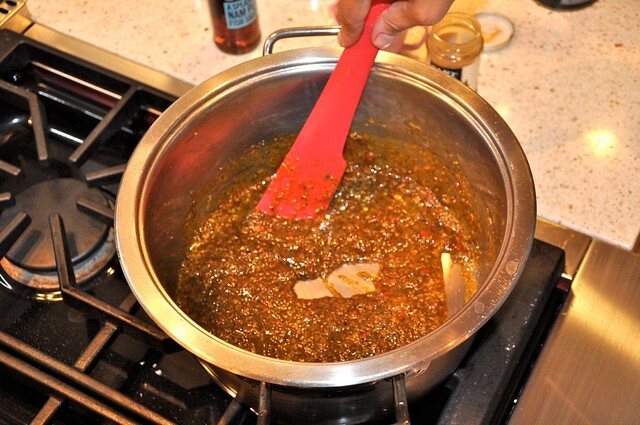 It doesn’t require soaking dried chilis, hard-find-ingredients or foul-smelling shrimp paste. The curry is a very simple puree of fresh red chili, garlic, ginger, lemongrass, coriander stalks and a little curry powder. It’s ridiculously simple to prepare, practically no chopping and there isn’t any ingredient you couldn’t pick up at the supermarket. Yes, you could just use ready-made red curry paste, but it doesn’t touch the freshness of this. 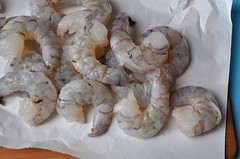 I had some fat prawns in my freezer from Whole foods (their seafood is incredibly reasonable) that worked beautifully in the sauce, but you could use chicken, pork or beef as a substitute. After washing it down with a tall icy gin and tonic, I started to feel better and the world felt like a better place. 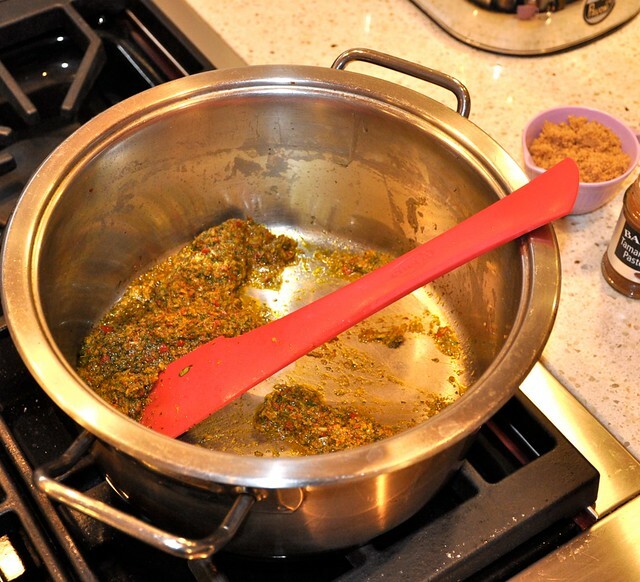 To make the jungle curry paste, place the ingredients, and coriander stems (save leaves for garnish), in a blender (this will grind the paste finer than a food processor as it has 4 blades instead of a 2) and blend until a smooth purée forms. Heat the oil in large saucepan over medium heat. Add the curry paste and stir for 5 minutes or until fragrant. 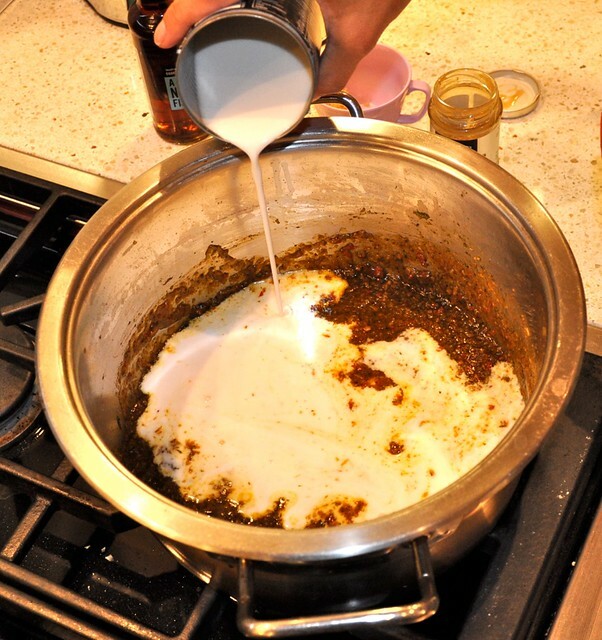 Add the sugar and tamarind and stir until the sugar has melted. Then pour in the fish sauce, lime zest and juice and coconut milk and simmer for 10 minutes or until slightly thickened Add the prawns and cook for 2–3 minutes or until the prawns turn opaque. Serve over rice and scatter over the toasted coconut, coriander leaves to serve. You are a star – with that category hangover I would struggle to make a glass of water! you MADE a CURRY while hungover? RESPECT! I think I’d be ordering take out (if it’s any consolation, I’d order takeout CURRY). 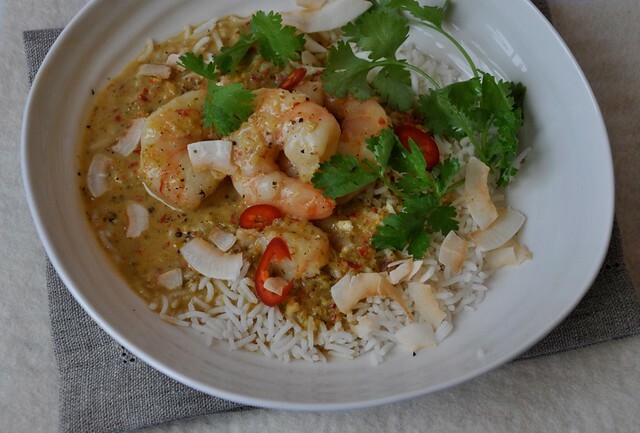 That prawn jungle curry looks amazing! Well, I try to take the ‘stiff upper lip’ approach to hangovers and keep moving. It helps. This was fabulous! I just started reading Meals in Heels and this was the first thing I’ve tried. Wonderful! Its great to get such positive feedback. I made this with green beans, butternut and pineapple. It was divine!